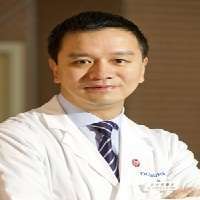 Prof. Yung Shu-Hang Patrick is the current Chairman of the Department of Orthopaedics and Traumatology, The Chinese University of Hong Kong. He is world recognized in the field of Orthopaedic Sports Medicine and he is the Chair or Board members of several influential local & international organizations on Sport Medicine & Arthroscopy surgery, such as International Federation of Sports Medicine, the Asian Federation of Sports Medicine, and The International Society of Arthroscopy, Knee Surgery & Orthopaedic Sports Medicine, the Hong Kong Association of Sports Medicine & Sports Science, and the Asia Pacific Knee Arthroscopy Sports Medicine Society (APKASS). He is also an active member of the Elite Anti-doping & Medical Panel of Asian Football Federation (AFC). He has conducted Anti-Doping works in major local and international sports competitions over the past 10 years, and also an active member of the Anti-Doping Disciplinary Panel of the Hong Kong Anti-Doping Committee, Sports Federation & Olympic Committee of Hong Kong, China (SF&OC).